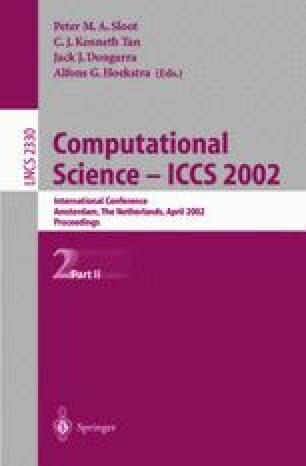 The deployment of component oriented software approaches gains increasing importance in the computational sciences. Not only the promised increase of reuse makes components attractive, but also the possibilities of integrating different stand-alone programs into a distributed application. Middleware platforms facilitate the development of distributed applications by providing services and infrastructure. Component developers can thus benefit from a common standard to shape components towards and application designers from using pre-fabricated software components and shared platform services. Although such platforms claim to achieve fast and flexible development of distributed systems, they fall short in key requirements to reliability and interoperability in loosely coupled distributed systems. For example, many interoperability errors remain undetected during development and the adaptation and integration of of third-party components still requires major effort and cost. Partly this problem can be alleviated by the use of formal approaches to automatic interoperability checks and component adaptation. Our Reliable Architecture Description Language (RADL) is aimed at precisely this problem. In this paper we present key aspects of RADL used to specify component-based, compositional views of distributed applications. RADL involves a rich component model, enabling protocol information to be contained in interfaces. We focus on protocol-based notions of interoperability and adaptation, important for the construction of distributed systems with loosely coupled components. Object Management Group. The CORBA homepage. http://www.corba.org. Iman Poernomo, Ralf Reussner, and Heinz Schmidt. The TrustME language site. Web site, DSTC, 2001. Available at http://www.csse.monash.edu.au/dsse/trustme.